Considering the strength of the Canadian economy, and Canada’s high living standards, it may seem surprising that so many Canadians are interested in emigrating to Australia. Yet Australia is currently becoming a prime relocation target for a growing number of Canadians, many of whom cite the warmer climate as a big attraction. If you are considering a move, you may be in need of a few tips for relocating to Australia. Skilled Employment visa. This is the quickest route to gaining entry via the job market, and the application process is shorter than that for traditional applications, though it does include a skills assessment. If you are sponsored by an Australian employer, you will need an Employer Sponsored visa. There are various types, including the 457 temporary skilled worker permit for two years, after which your employer can sponsor you for a permanent visa. 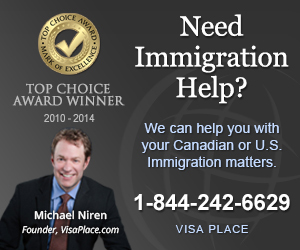 Business visa, if you are hoping to develop a new business. When you first arrive, it is best to find short-term accommodation initially, in order to give you time to look around. You should expect to pay higher rents than for equivalent accommodation in Canada. Property purchase prices and mortgage interest rates are also considerably higher, although higher average earnings help to offset this. Australia has a public health care system called Medicare, which is available to all overseas visitors whose country has a reciprocal agreement with Australia. In addition, many Australians pay into a private health care system provided by a number of insurance institutions, both profit and non-profit. For most people relocating, paying health insurance is mandatory, and is a condition of being granted a visa. For most people relocating from overseas, it is essential to open a local bank account, and this should be done within 6 weeks of arrival. Most banks will require 100 points of identification — for instance, a birth certificate or passport is worth 70 points, a driver’s licence (with photo and signature) is worth 40, and a card with your name on it, such as a credit card, is worth 25. If you wait longer than the 6 weeks, you will usually require additional identification. You also need to obtain a Tax File Number (TFN), for which you can apply online as soon as you arrive. Most Canadians settle well in Australia and find the Australian people congenial. If you would like to relocate to Australia, we at Canuck abroad can help you. We have a wealth of resources which can make your relocation stress free.